We love networking with fellow girl studies and museum professionals, as well as producing small events around the world. 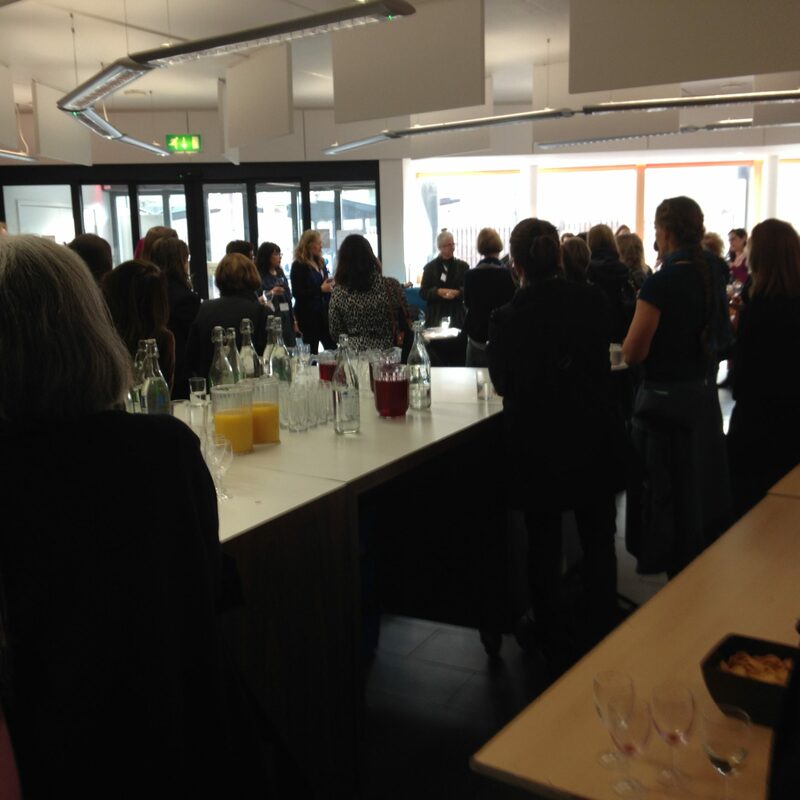 We have held awesome events for project launches, pop-up exhibitions, conferences, and film screenings. Check out a few of our highlights. 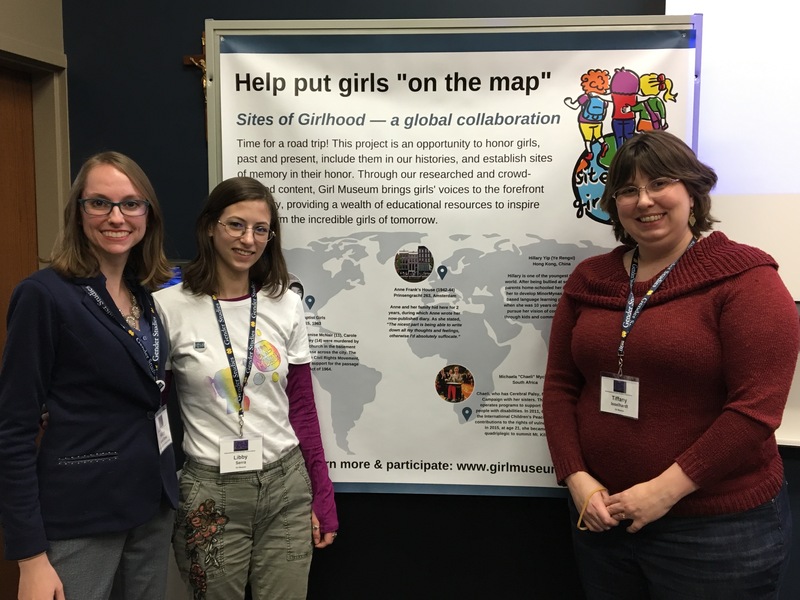 In February 2019, three of our team members attended the second International Girls Studies Association conference, held in conjunction with the University of Notre Dame’s 5th Biennial International Gender Studies Conference. Tiffany Rhoades, Hillary Hanel, and Libby Burrows attended sessions and networked with our girl studies’ colleagues. 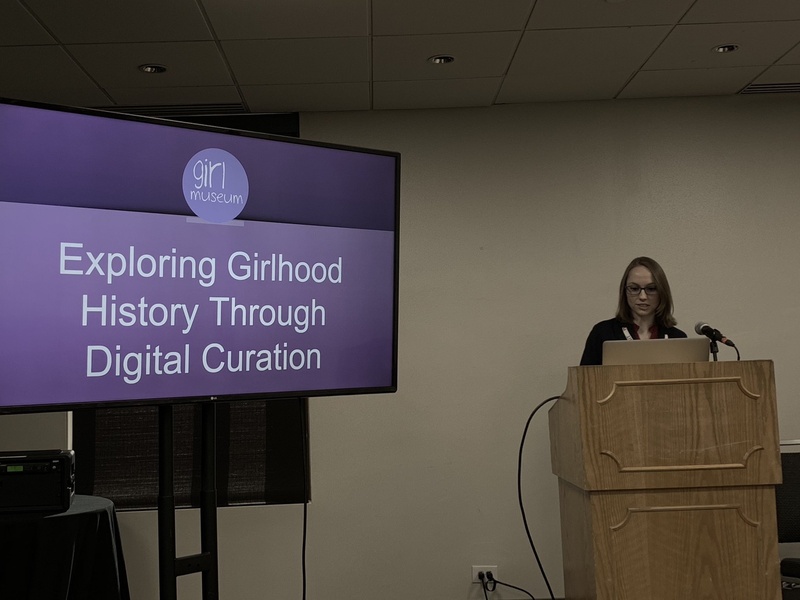 Hillary presented “Girl Museum and the Virtual Classroom: Exhibits, Artifacts, and Interactive Resources for Teaching and Learning” during a session about girls’ public history. She explored how teachers can make up for the inequity of girls’ names in history textbooks by including our resources in their curriculums. Tiffany presented our 2020 project, “Sites of Girlhood,” a large-scale global project to put girls “on the map.” She described how the project came to be, how it will be presented, and how the IGSA and gender studies communities could help bring the project to life by submitting sites and promoting internships with us. Her presentation featured a poster about the project. Hillary, Libby, and Tiffany after our Sites of Girlhood presentation at IGSA@ND 2019. “This November, I was honored to be part of the group of scholars selected to present their work at the Museum Computer Network Conference in Denver, Colorado, USA. I learned about MCN while researching digital technologies being used in museums since that fits perfectly with our work at Girl Museum. I learned that MCN has a robust scholarship program to allow scholars to attend and participate at the annual conference. 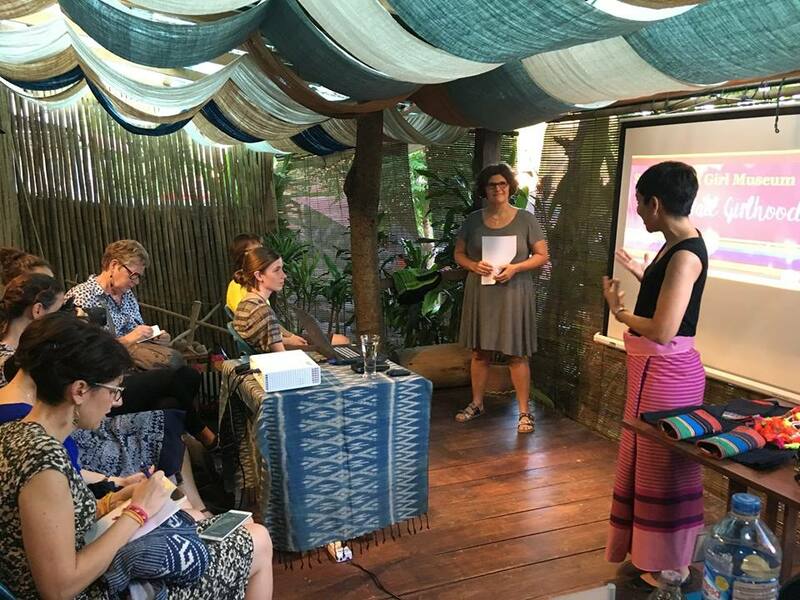 The 2018 group of scholars included museum professionals from around the world who presented their work on a variety of topics and experiences. Of course, I chose to give a lightning talk about my work with Girl Museum. Virtual museums are a new idea, so the overall concept of this was the basis for my presentation. I shared the benefits (free for visitors, open 24/4, etc.) and implications (time zones, marketing, funding, etc.) of being a virtual museum. I also highlighted our 52 Objects exhibit to show how digitized collections can be used to curate in new ways. There was a lot to fit in a time limit of 5 minutes! Luckily, I was able to chat with many other MCN attendees throughout the week to discuss Girl Museum more in-depth. In addition to the experience of presenting at an incredible conference, I enjoyed learning from fellow museum professionals. Did you know that 57% of people will benefit from accessibility features in museums at some point in their lives? This is from a great session about accessibility that suggested looking to video games to make museum tech more accessible. I also learned about some super cool museum mascots, who are now my favorite Twitter accounts (hi @MarktheMammot, @MSUMuseumBear, and @TomytheSheep). I met some of the museum world’s best and brightest, including Hannah Hethmon, author of “Your Museum Needs a Podcast” and I am a little starstruck to be in possession of the business cards of several Smithsonian staff members. For my live-tweets of MCN sessions, please visit my Twitter @HillaryHanel and #MCN2018. Hillary presents a lightning talk on Girl Museum at MCN 2018. 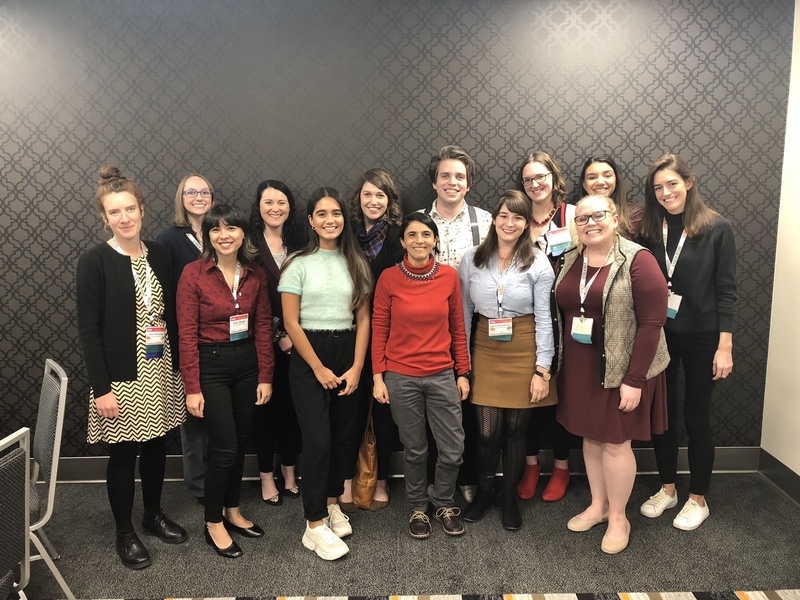 Hillary and the MCN scholars at MCN 2018. 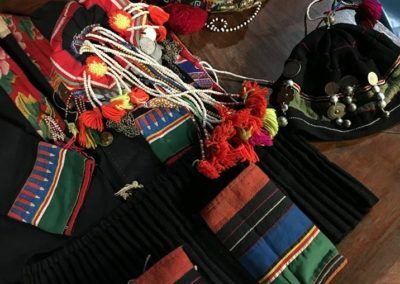 In November 2018, Head Girl Ashley E Remer presented a talk at the Traditional Arts and Ethnology Centre in Luang Prabang, Laos, on Girl Museum, stories from our past ten years, her experience living in Laos, and our exhibitions. 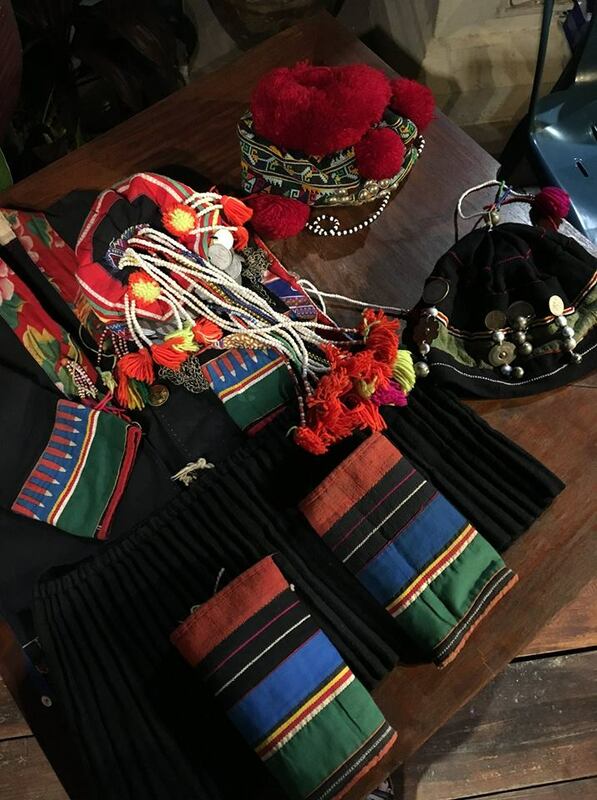 Girl clothing from the TAEC collection. 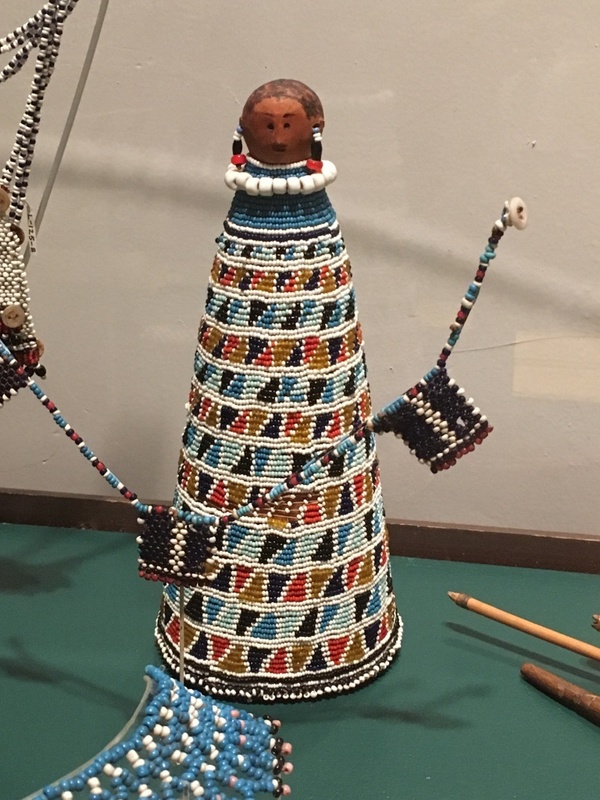 Zulu doll, Botswana. The University of Pennsylvania Museum of Archaeology and Anthropology. In late June, Head Girl Ashley E Remer attended the Society for the History of Children and Youth (SHCY) 2017 biennial conference held at Rutgers University – Camden, New Jersey campus. The conference theme was ‘Transition, Transaction, and Transgression’. She presented a paper on our Kiwi Chicks: New Zealand Girl History project as a showcase of girl history as well as how to create a successful public history project. It was an excellent conference, with many new connections made as well as meeting longtime colleagues for the first time. 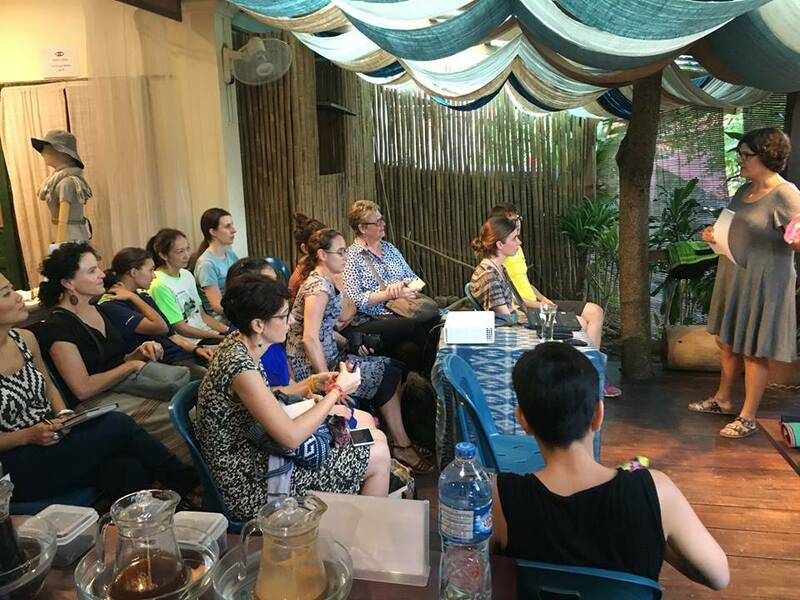 Besides acquiring a new excellent intern for our team, Ashley became co-chair for the new Girls’ History and Culture Network (GHCN). 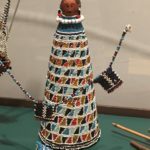 In bits of free time, she got to visit the Penn Museum of Archaeology and Anthropology—a dream come true! An excellent collection and museum experience. 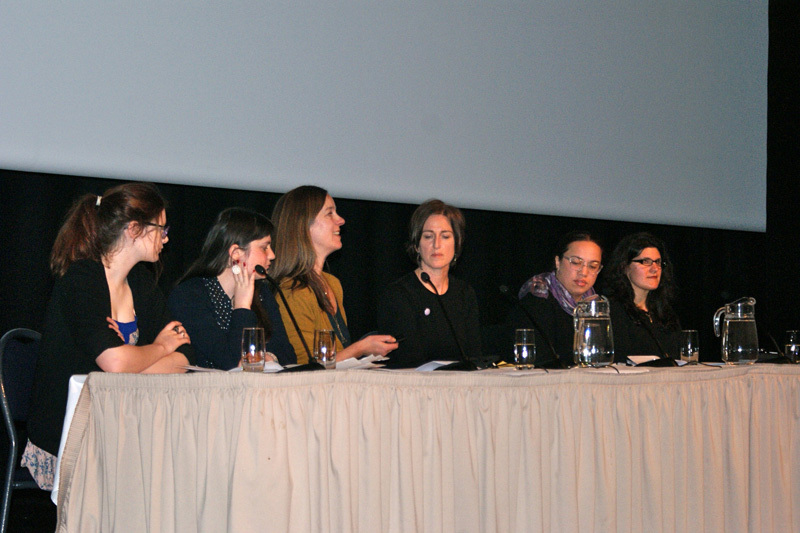 The conference concept was how women’s museums act as agents of inclusion and social memory. What we discussed was so much more. While inclusion was a theme, it is also a desperate cry in such unstable situations we find ourselves in the world today. 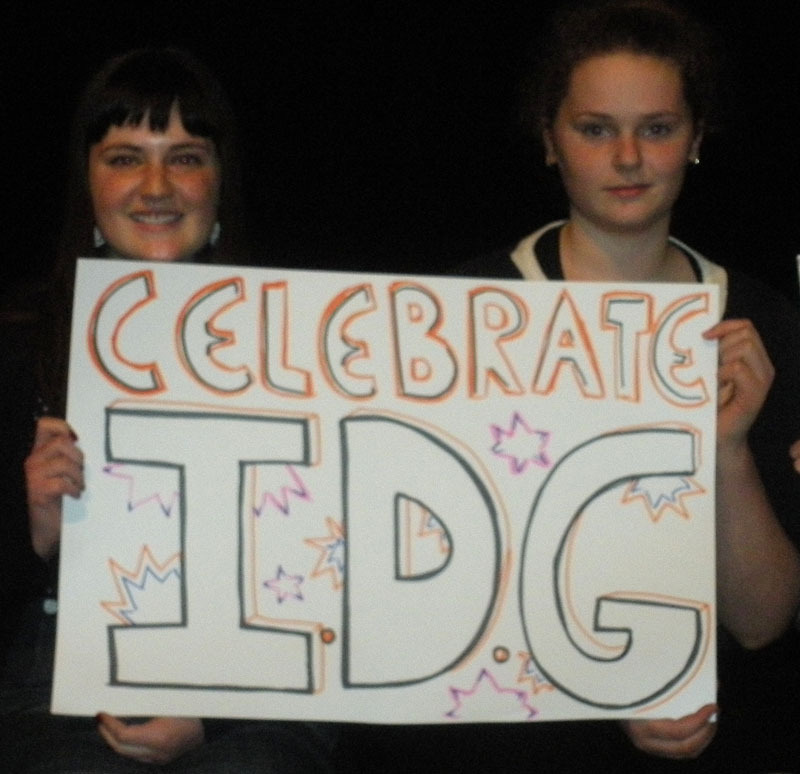 We learned how important issues of inclusion are for us all right now. And duly reminded about how all history (and memory) is political. I had no real idea of all that women currently face in Turkey. From the suppression/expulsion of academics and activists to the challenges of creating a women’s museum in a war zone (Diyarbakir in southeastern Turkey), we checked our privilege and were reminded of how lucky we are to do what we do under the banner of a democratic and free country. 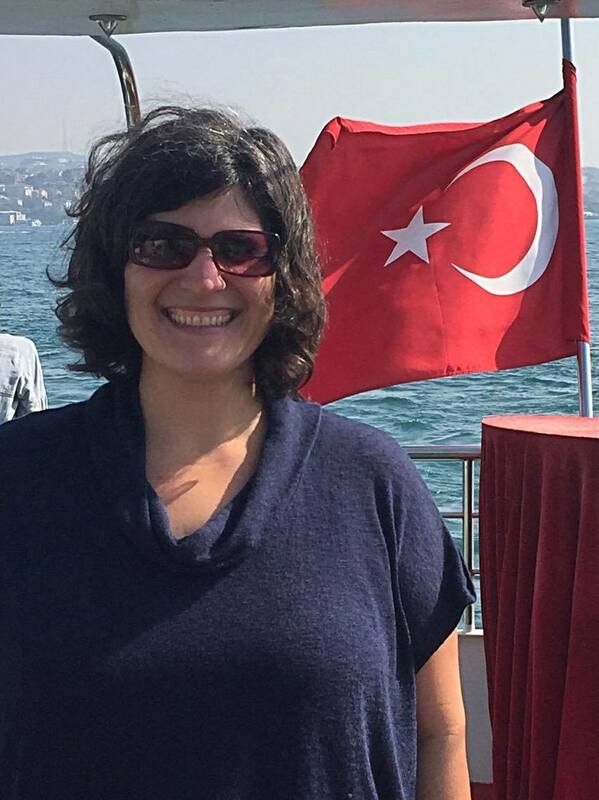 After having amazing experiences and meeting such wonderful women, Ashley is looking forward to returning to Istanbul for the International Association of Women’s Museums conference in 2018. One of the panels I attended was “Girls at the end of the World,” which looked at apocalyptic and post-apocalyptic sci-fi and horror. It had papers on the television shows The 100 and Spooks: Code 9, as well as the video game The Last of Us: Left Behind. Sadly, the paper on Caprica was cancelled due to a family illness. Trying to describe the papers is difficult; though I could include the abstracts of each one here, suffice it to say that they all looked at a wide range of topics, from agency (the abilty to make choices for oneself) to power, sacrifice, and passivity. 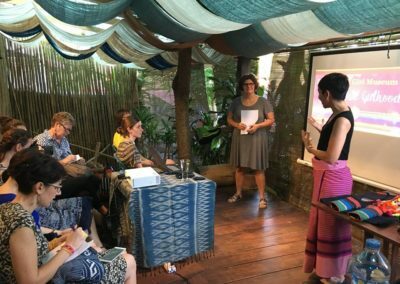 The entire conference was inspiring, from the realization that there are a lot of us who work in the area of girls studies, to the specific work that people are doing in the field. On a personal level, it was amazing to spend three days at an academic conference, something I don’t get to do much of these days. And because I was presenting on behalf of Girl Museum, it was so gratifying to see the level of interest in Girl Museum. Sarah and I both had so many people seek us out because they’re interested in future collaborations, and we felt the same way. 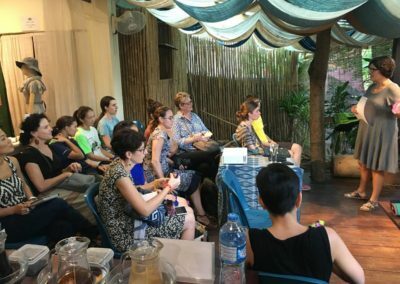 I almost ran up to a few different presenters, begging them to work with us–and the best bit was that everyone was open to and excited by the idea! 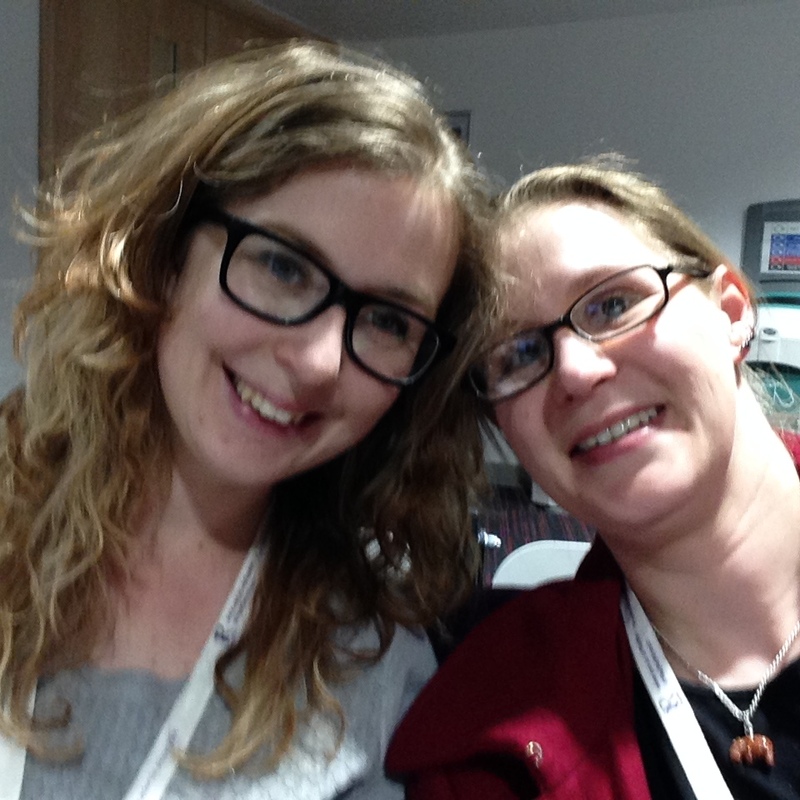 Like Katie, I left the conference feeling inspired, hopeful and completely exhausted! There were so many fantastic people doing amazing work and everyone was so enthused and approachable. It really felt like we were all united by our love and passion for making the world a better place for everyone – not just girls! I guess the whole conference can be summed up with Mary Celeste Kearney’s final keynote, “Girls Make Media: Then, Now and So What?”, which looked back at the development of the first in-depth study of girls’ media production and Professor Kearney’s first book. It began with fist-pumping blasts Riot Grrrl anthems by Bikini Kill and ended with a call to action, to bridge the gap betwen girls who make media and women who make media. 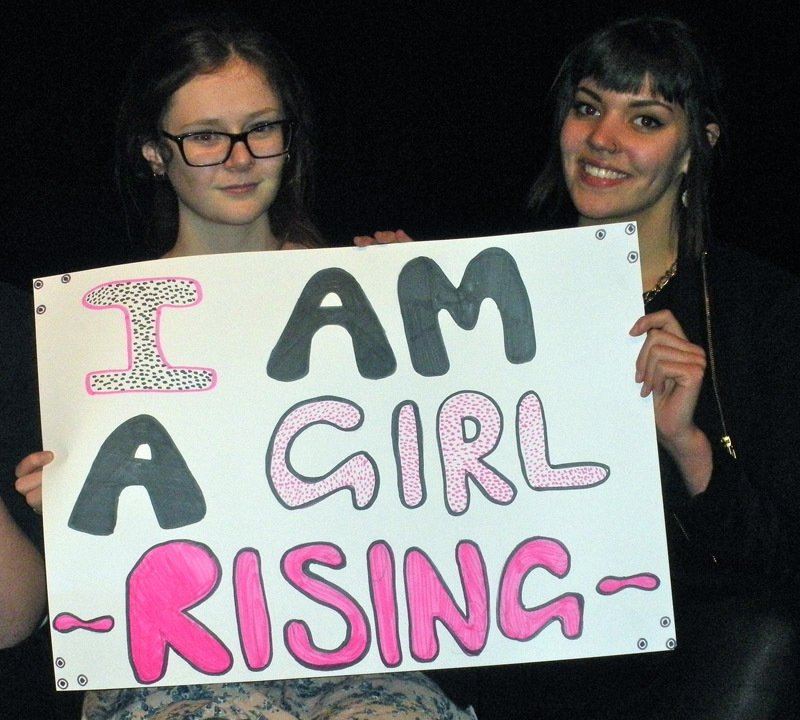 All too often we see girls creating their own zines, videos, music – anything you can imagine! But many creative industries, especially film, are lacking women in key roles. Tiffany Rhoades, our Program Developer, was a guest speaker for the #LORTLive weekly webcast on January 25, 2016. #LORTLive is produced by LORT Nation. You can view her discussion on Girl Museum, girls, and gaming at right. 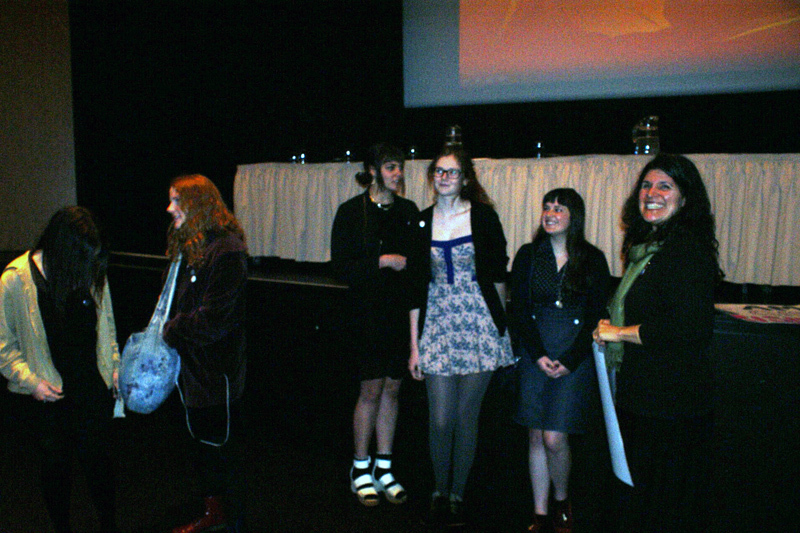 Girl Museum and Te Papa Tongarewa hosted ‘Girls in the Museum’ in honour of International Day of the Girl (IDG) 2013, to promote dialogue about girls in fine arts and museum collections and to raise awareness about the NSTP/Girl Museum exhibition Kiwi Chicks: New Zealand Girl History This free event consisted of an introduction from UN Women; a discussion panel of museum curators examining representations of girls in art, museum collections and in the community; and a screening of the film, Girl Rising. 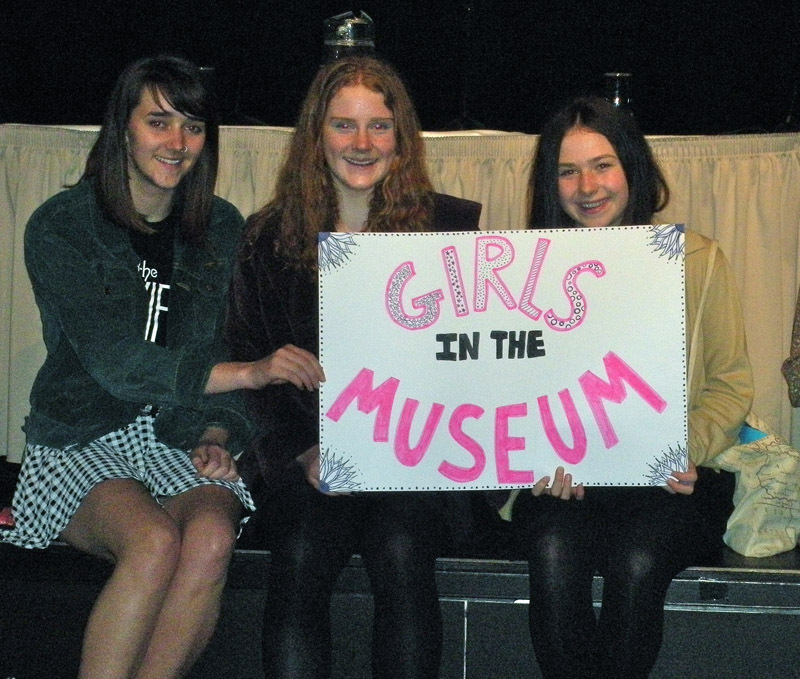 Participants: Ashley E Remer, Founder & Head Girl of Girl Museum; Sunshine Prior of UN Women; Lynette Townsend, Curator of Communities & Diversity; Rebecca Rice, Curator of New Zealand Art; Rachel Yates, Curator of Pacific Cultures, and high school girl moderators. 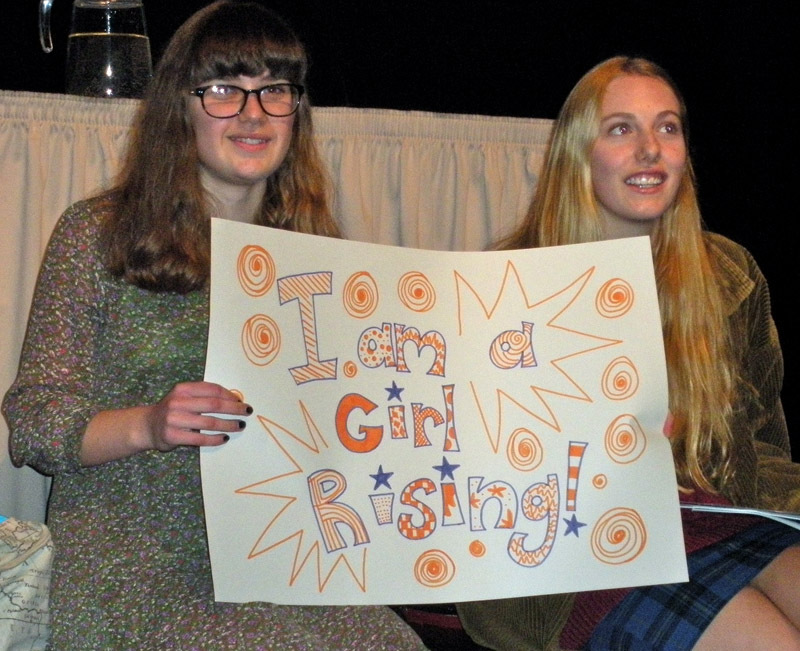 Junior Girls Vhari Finch and Katie Weidmann presented at the “After Girl Power — What Next?” conference at the University of York in the U.K. Their presentation, “Inside/Outside Girl Museum,” discussed the work that we do in girl studies. 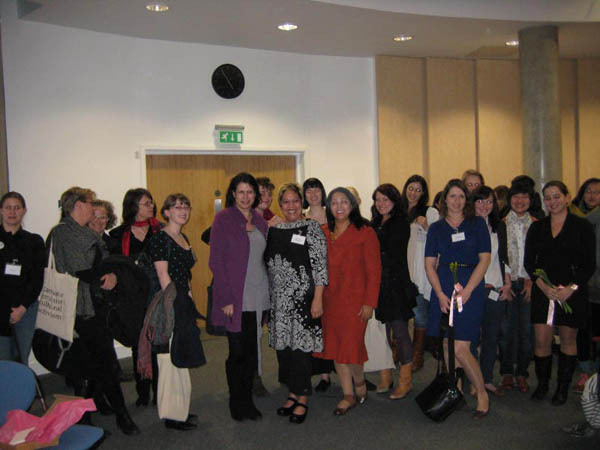 You can read Vhari’s experience at the conference on our blog. After Girl Power: What Next? 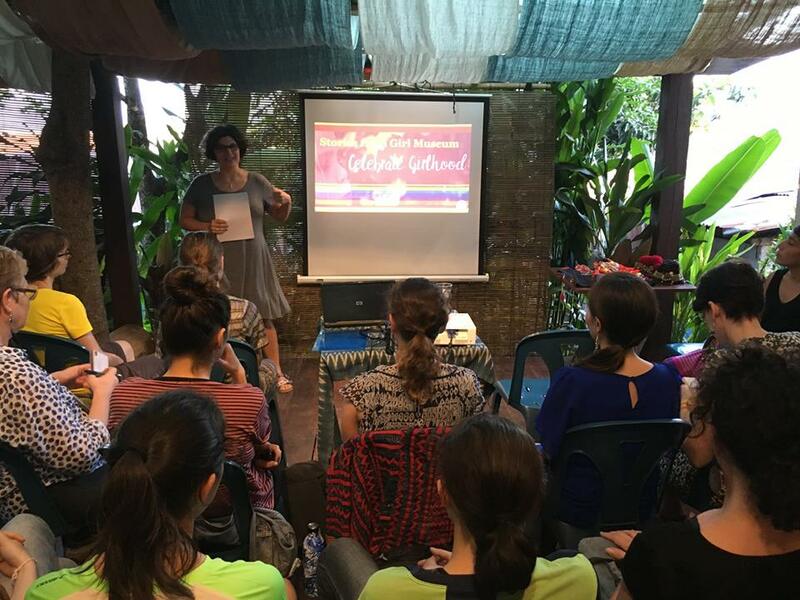 explored the state of global girlhoods and the state of Girls’ Studies itself as an evolving discipline. It aimed to raise awareness about Girls’ Studies and girls’ issues in general and to bring together Girls’ Studies scholars, students, advocates for girls/youth, and local girls to encourage dialogue, networking and joint projects. 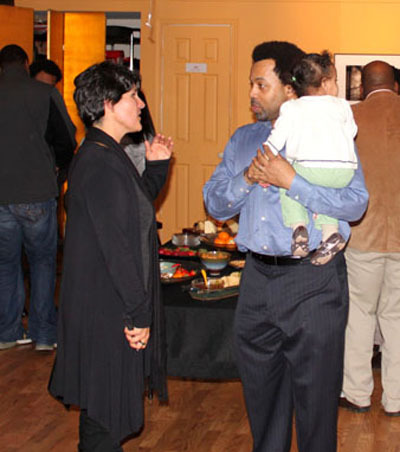 On March 31, 2011, The Corner Store in Washington D.C. hosted the launch of our exhibition, Girl or Sale. This show was a production between Girl Museum and the American Poetry Museum. Special thanks to Mary Case for supporting this event. 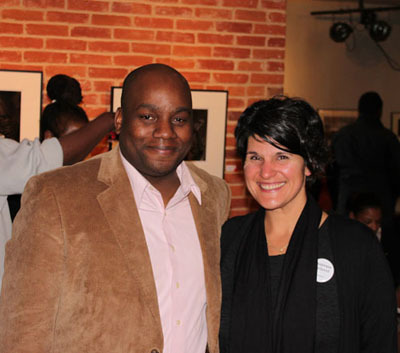 In the photos at right, Ashley poses with John West-Bey, and discusses issues related to human trafficking with attendees. 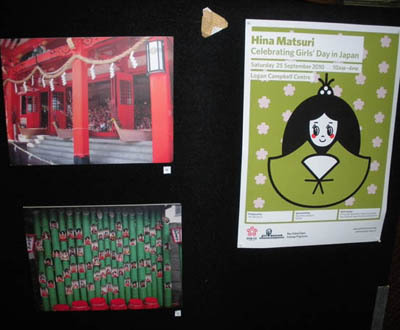 In June and August 2010, Girl Museum produced pop-up exhibitions of Hina Matsuri: Celebrating Girls’ Day in Japan at the Japanese festivals in Auckland and Wellington, New Zealand. Special thanks to Briar Barry and Jane McGill for their assistance at events. 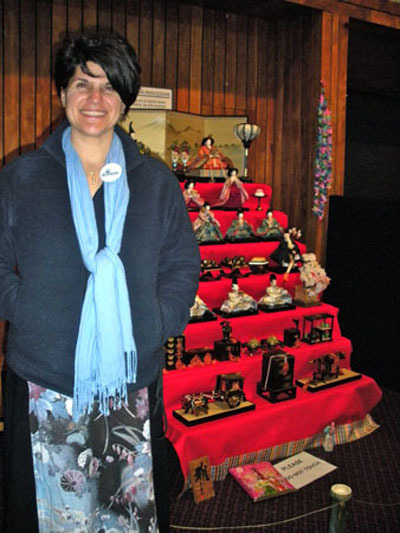 Ashley E Remer at Hina Matsuri exhibition at the Auckland New Zealand ‘Taste of Japan’ festival in August 2010. 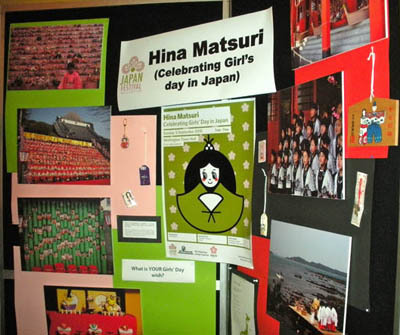 Hina display at Hina Matsuri exhibition at the Auckland New Zealand ‘Taste of Japan’ festival in August 2010. Hina Matsuri exhibition at the Japan Festival in Wellington, NZ in June 2010. 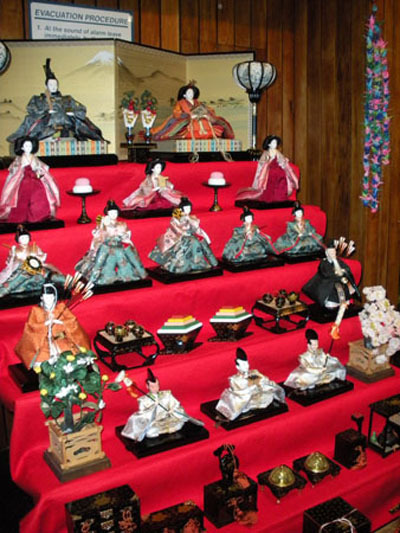 Hina Matsuri exhibition at the Auckland New Zealand ‘Taste of Japan’ festival in August 2010. 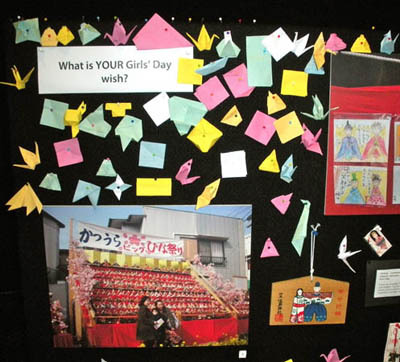 Girls’ Wish Wall at Hina Matsuri exhibition at the Auckland New Zealand ‘Taste of Japan’ festival in August 2010.